A veteran police chief from California, Bernard K. Melekian has been the director of the Office of Community Oriented Policing Services (COPS) in the U.S. Department of Justice since October 2009. 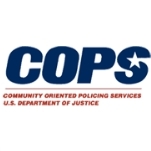 Founded in 1994, COPS promotes a community-based approach to law enforcement that encourages preventing crime rather than responding once crime has been committed. It provides funding and training for community policing programs. Born June 16, 1949, Melekian served in the U.S. Army from 1967 to 1970, leaving with the rank of sergeant. He joined the Santa Monica Police Department in 1973, rising to the rank of captain by the time he departed 23 years later. Along the way, in 1977, he spent a year as a sheriff’s deputy in Santa Barbara, California. While serving as a law enforcement officer, Melekian continued to go to school. He earned a bachelor’s degree in American history (1980) and a master’s degree in public administration (1994), both from California State University, Northridge. A graduate of the FBI National Academy and the California Command College, Melekian has been a doctoral candidate in public policy at the University of Southern California since the fall of 2004. As a member of the U.S. Coast Guard Reserve, he was called to active duty in 1991 during Operation Desert Storm and served in Saudi Arabia. Melekian served a second eight-month tour of active duty in 2003 with the Coast Guard’s Marine Safety and Security Team, in the Pacific area. 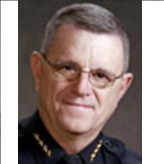 In 1996, Melekian became the police chief for Pasadena, California, taking over in the wake of a gang-related triple homicide. During Melekian’s 13-year reign, the number of homicides recorded each year decreased significantly, according to The Los Angeles Times. While running the city’s police force, Melekian also served as the acting fire chief (1998) and interim city manager (2008). From 2000 through 2001, he was president of the Los Angeles County and California Police Chiefs Associations. He served on the national board of directors for the Police Executive Research Forum (PERF) from 2002 until 2006. Melekian retired from the Coast Guard Reserves in 2009, after 28 years of service. He is married to Nancy Melekian.